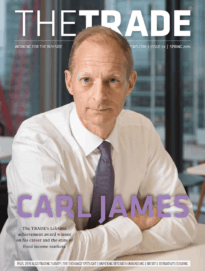 Throughout April The Trade will be profiling the biggest buy-side names in trading, in celebration of the Hot 100 list, published later this month. Our third profile is Old Mutual's Stephen Harrison. Stephen Harrison, 43, is the head of dealing and portfolio finance at Old Mutual Global Investors, a role he has held since May 2008. Harrison’s role is essentially centred on front office requirements. These include centralised dealing, which he set in 1998 and describes as a career highlight. Other responsibilities include prime brokerage, central to the alternatives strategies. This is of increasing important due to the various regulations affecting the provision and cost of prime services. 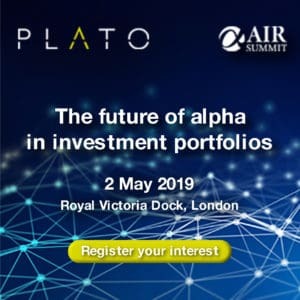 Harrison is also responsible for the research procurement process, whereby fund managers use external research to support investment strategies. Old Mutual has been unbundled since 2007. Other roles include contributing to counterparty risk oversight and various front office budgets. As Old Mutual Global Investors expands internationally –for example, the establishment of an Asian desk – additional governance measures are required. Harrison is also a member of the senior management team, the counterparty risk committee, and the product regulatory group. Previous roles include head of portfolio finance and head of investment operations. Harrison has worked in asset management at Old Mutual ever since 1997 when he joined the firm as a senior dealer straight after leaving university. His career at Old Mutual has seen him acquire a plethora of industry qualifications. Harrison holds a BSc in Economics with Accountancy at Loughborough University and an MSc in Economics from the University of Southampton. His MSc dissertation was focused on gender pay differentials. Much of Harrison’s focus for 2016 – like his industry colleagues - will be on Mifid II, ensuring Old Mutual Global Investors is fully compliant with its requirements. He is also looking ahead three to four years at the compliance and governance structures in place. Harrison is a cohort sponsor for the Old Mutual Wealth’s ‘Enabling Positive Futures’ programme. The aim of this is to help foster better leaders and leadership behaviours across the company: Helping people learn how to think as a leader and how to act as a leader. He is also involved in Old Mutual Wealth’s mentor programme. Outside work, much of Harrison’s time is spent with his five-year-old daughter. He also is helping set up a charity called Communicate, which aims to foster literacy, study and self-esteem skills for young people who may have mild learning difficulties.